Garage Floor Epoxy: Builder Tips for a Quality Installation- Armchair Builder :: Blog :: Build, renovate, & repair your own home. Save money as an owner builder. 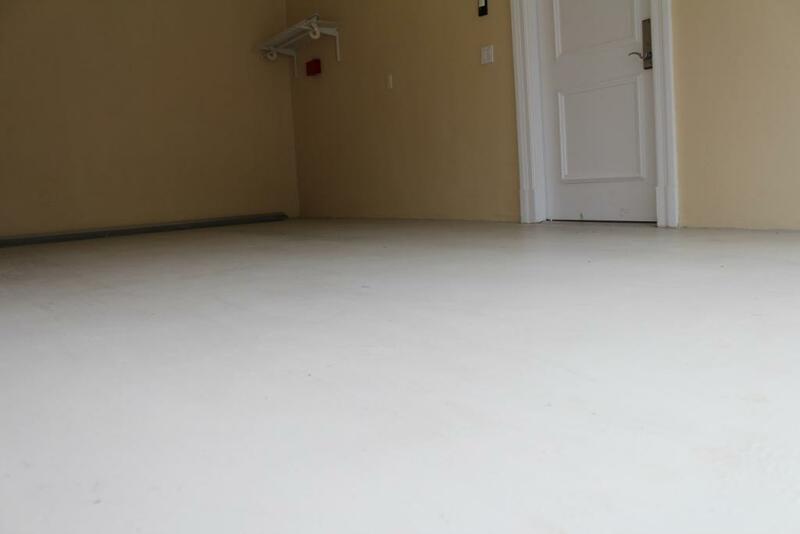 Are you thinking of applying a garage floor epoxy, stain or paint? A new covering for your garage concrete will not only make it look better, but it can also protect the surface from harsh chemicals. But before you dive into your project, there are some pitfalls you should be aware of to prevent problems. Here are a few builder tips to help you get a quality finish that will last. Chemicals can react with the surface of your concrete floor and cause it to deteriorate over time. Road deicing salts that stick to the underside of the snow under your car and then fall off onto the floor as they melt can create problems. Fluids leaking from vehicles, like anti-freeze, can also become a problem. How about all of the cleaning solutions, fertilizers or different types of fuel you store in your garage? These can all cause your floor to flake, crack and crumble over time. So providing a layer of protection on top of the floor can really help prolong its life. If you don’t protect your garage floor concrete and it deteriorates, it can get quite expensive to replace. Typically, garage floor slabs are poured to a four inch thickness. So removal can take some serious effort with jack hammers, laborers and a small skid steer (a.k.a. Bobcat). In many cases, the removal will cost in the range of $3-$5 per square foot. If you have an average sized garage of 400 square feet, removal alone will set you back $2000. Installing the new concrete will typically cost between $3.5 and $5 per square foot. Then figure in reinstalling the steps into the home and the possible damage to the overhead garage door rails, you’re looking at a big project. So even if you get very good pricing for your garage floor replacement, it will still set you back a minimum of $3000. So installing a protective coating over your garage floor can pay off over the long run. But keep in mind, this is typically a time consuming job. You’re not going to run down to the hardware store, pickup a couple gallons of paint and roll it on. This won’t last…guaranteed. The most common types of failures are flaking and peeling of the new surface. And the most common place that the failure occurs is under the tires. Remember, your car’s tires can get hot after driving. This heat can cause the garage floor epoxy, paint or stain to delaminate from the surface of the concrete. Since these failures are so common, I’ve put together a quick video to give some builder tips for a garage floor epoxy application that will last. Stop by our e-Store if you are looking for ways to save money on your next home project.